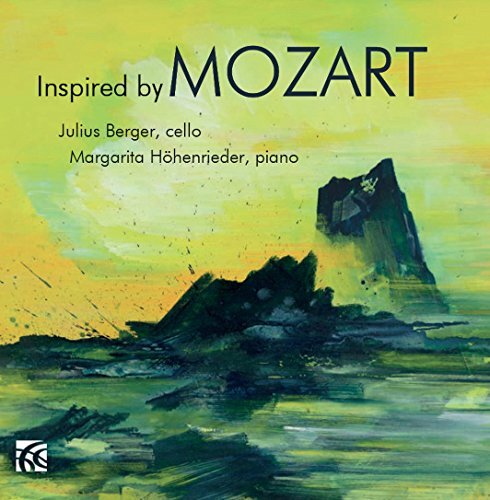 The inspiration for the album is Berger's thoughts about Beethoven's opus 69 sonata, and how the melody in the opening of the slow movement resembles that of Mozart's Ave Verum. Berger's article details his fascinating thought processes regarding the sonata. Whether or not you follow him in all of his pathways, there is no denying that he and Hohenrieder have come up with a lovely fluid account of the sonata. This is the first sonata for cello and piano which has the two instruments as equals, and Berger and Hohenrieder make finely balanced partners projecting Beethoven's revolutionary balance between the instruments. Berger's playing is finely classical, but fluid with a lovely sense of detail in the phrasing and articulation (in the scherzo he follows Beethoven's pupil Carl Czerny's instructions for the articulation). I can imagine other performances of the Beethoven but this is a testament to a fascinating journey of exploration that can be recommended.